Fascinating, firsthand memoir of a young white man's life among the Piegan Blackfeet in Montana Territory. 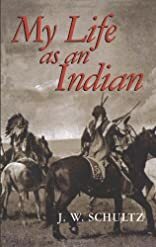 Includes detailed accounts of religious ceremonies and customs, child-rearing, food preparation, tanning buffalo hides, war parties, raids, and much else. Of great interest to ethnologists and students of Native American history.